Passwords are critical for computer and payment data security. Just like a lock on the door protects physical property, a password helps protect business data. Computer equipment and software out of the box (including payment terminals) often come with default or preset passwords such as “password” or “admin”. These are commonly known by criminals and are a frequent source of merchant breaches. When it comes to passwords, the rule of thumb is use strong ones and change default ones. 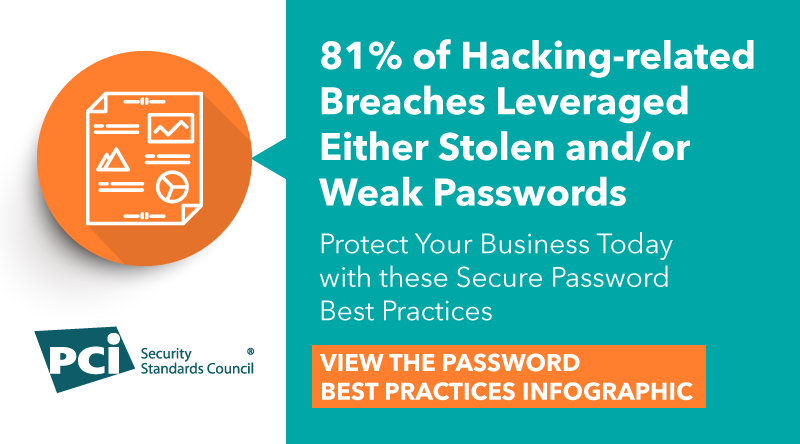 View this infographic from the PCI Security Standards Council for password best practices.